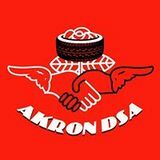 Akron Democratic Socialists of America is an Ohio affiliate of Democratic Socialists of America. Akron Democratic Socialists of America contact in August 2017 was Dan Woods. Akron Democratic Socialists of America, April 28 2018. Treasurer Andy Karas and Communications Facilitator Jessica M. Culbertson are attending the SPAN Ohio 15th Annual State Conference today. Akron Democratic Socialists of America 2019 Steering Committee. Akron Democratic Socialists of America, 2018 Executive Committee. Akron-Summit County Public Library, 60 S High St, Akron, Ohio 44326.